Celebrating the October 24th launch of “Bramble Berry Tales – The Great Sasquatch”, The Story of Kalkalilh is now FREE for a limited time! When mischievous Lily sneaks out of bed, her Mooshum (grandfather) shares a cautionary tale filled with foreboding surprises. Join Lily and Thomas on a new adventure filled with touch interactivity, music, color, and sound. Rich narration and voice acting guide you through this adventure, based on the oral traditions of the Skwxwú7mesh. 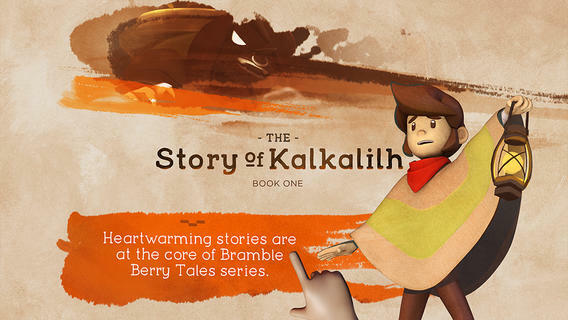 The Story of Kalkalilh is a vibrant storybook experience that reinforces valuable life lessons. Parents and children are transported to a world filled with beautiful visuals and memorable characters. Your children can follow along in English, French, Spanish, or even the original Skwxwú7mesh language and learn more about the cultural traditions from the Squamish Nation. Parents are advised that the villainous character might be a little scary for sensitive children, but no scarier than classic fairy tales like Hansel and Gretel.